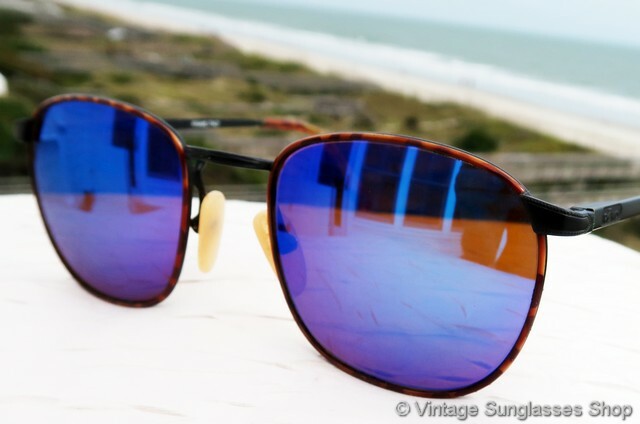 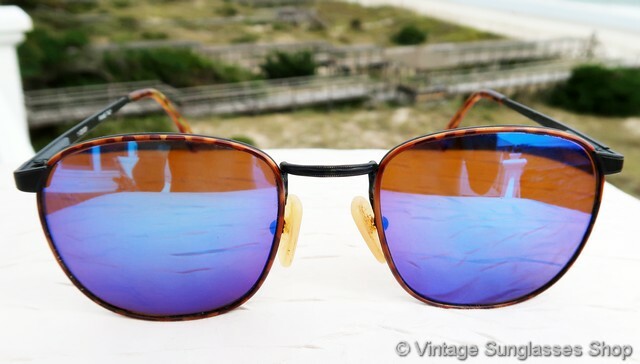 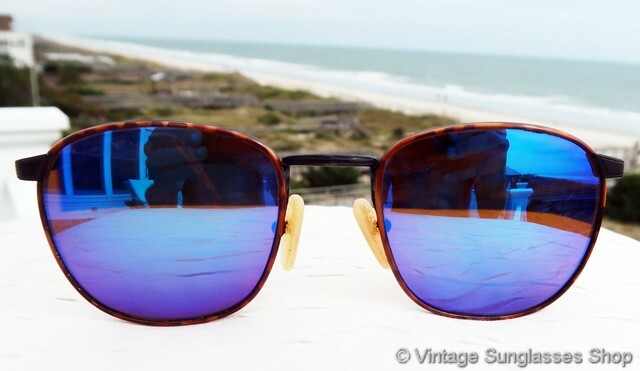 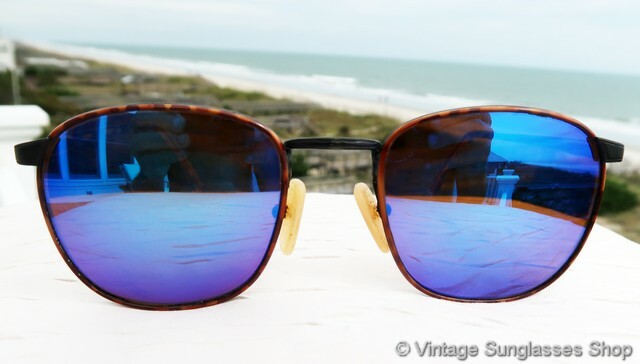 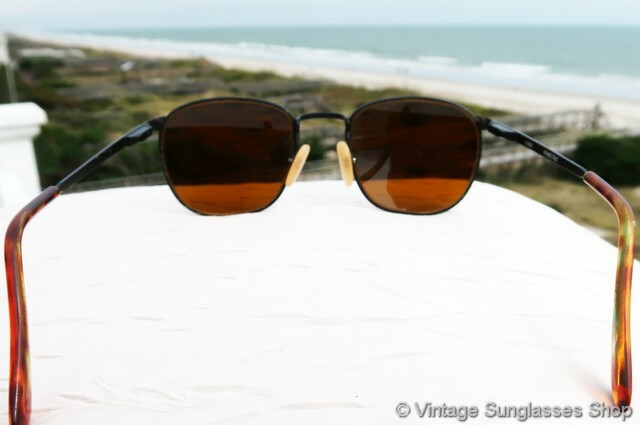 1 Vintage Revo 1103 001 blue mirror sunglasses feature a thin band of tortoise shell that surrounds each of the highly reflective Revo blue mirror lenses, all combining for a unique and eye catching look in this early vintage Revo style c. late 1980s. 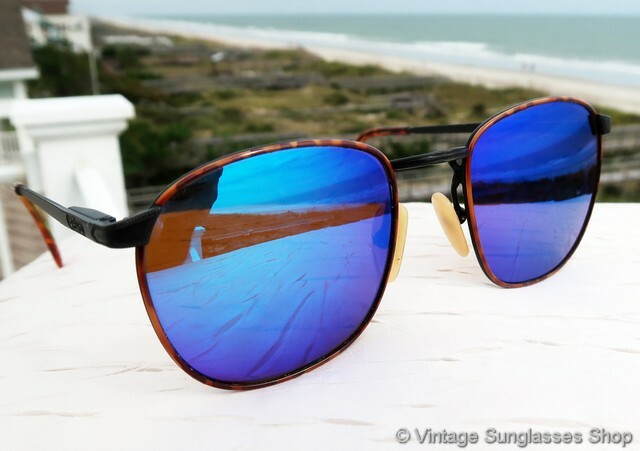 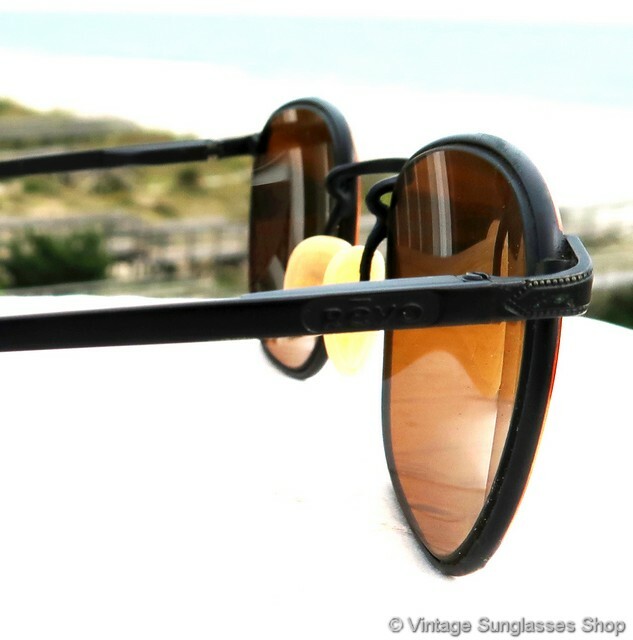 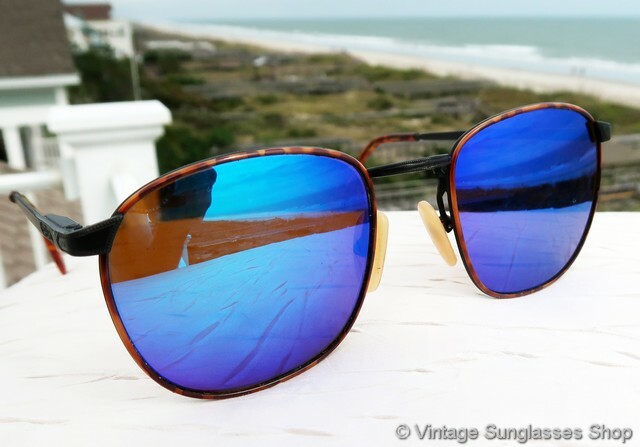 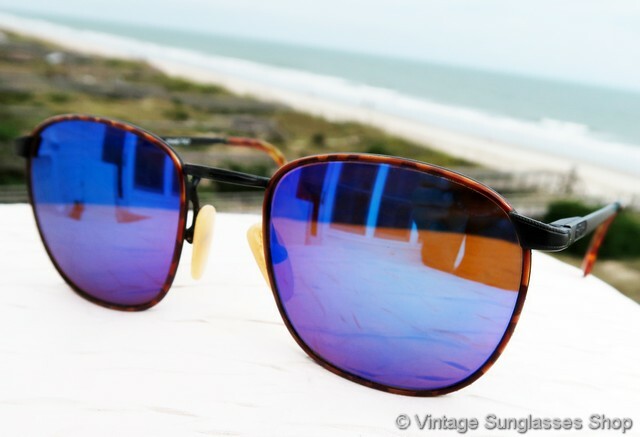 The Revo 1103 sunglasses lens shape is reminiscent of vintage Ray-Ban Caravan sunglasses, but the look of the blue mirror lenses and the thin tortoise accent band is distinctively Revo. 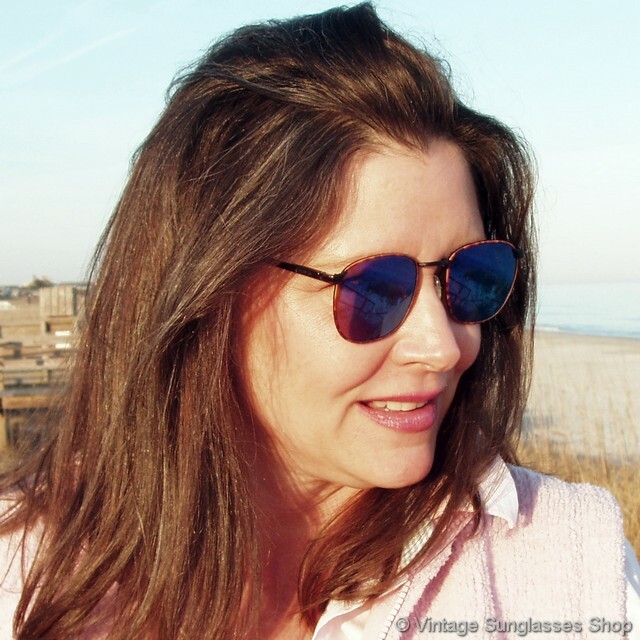 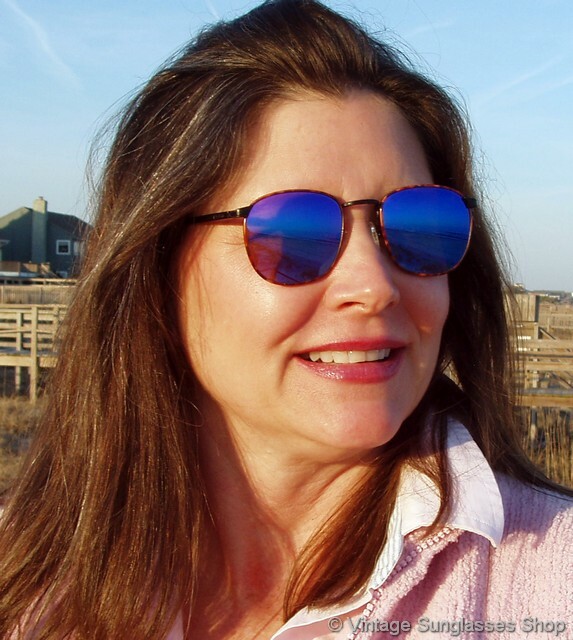 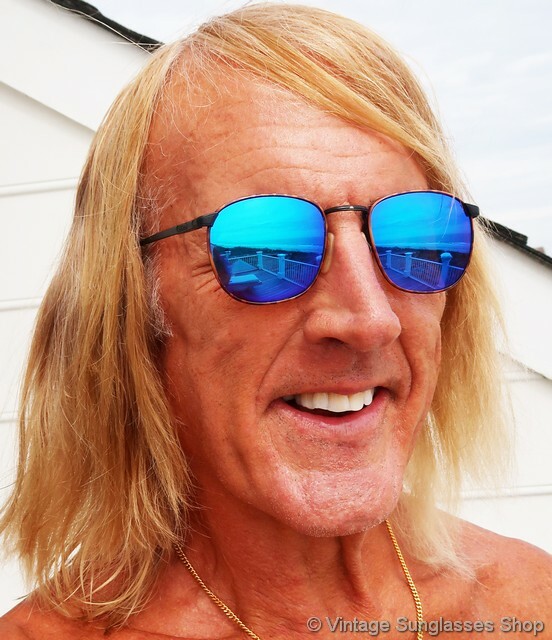 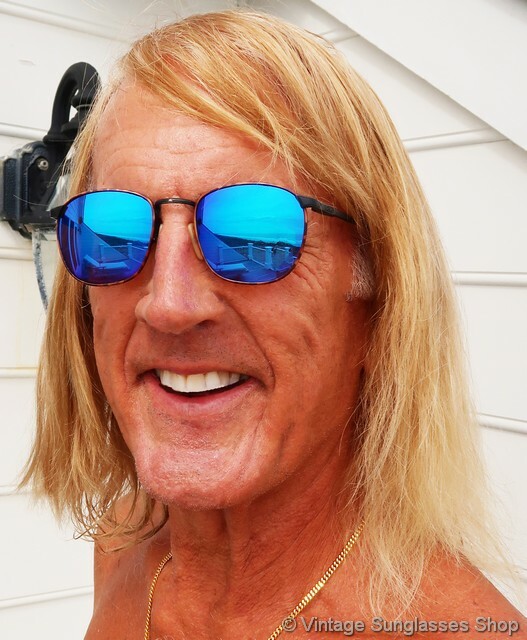 The unisex Revo 1103 frame measures approximately 5.0" temple to temple with Revo blue mirror mineral glass lenses measuring approximately 1.875" x 1.75" at the widest points. 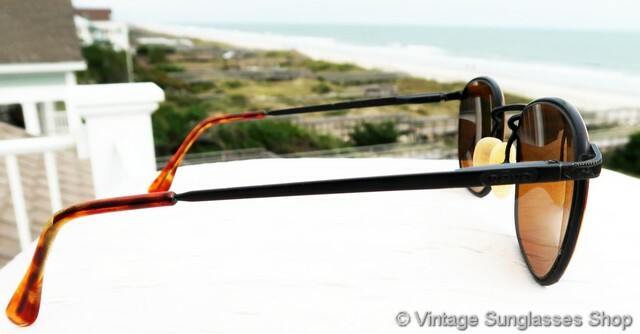 You'll find the Revo logo impressed in the metal of each ear stem and the inside of one stem is marked 1103/001 Frame Italy, part of a Malibu, CA estate collection of fine vintage eyewear.